CAKEWALK BAKE SHOP: Share the Love with a SWEET BENTO! Share the Love with a SWEET BENTO! Looking for something to give a colleague, friends, collaborators, teachers, etc. to say thank you for being you at just the right moment? Want something that is just the right amount of sweet and cute and not at all typical? 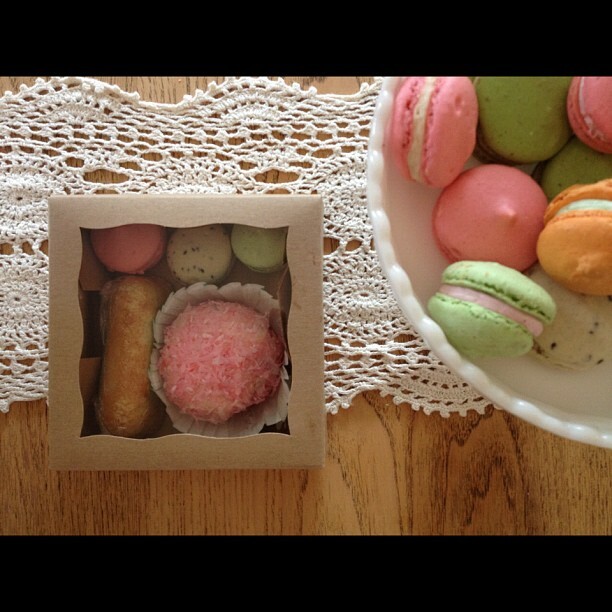 Try one of our customizable SWEET BENTO BOXES! We will work within your budget and style to select an assortment of items that fit you and your special thanks, and will even collaborate to develop extra cute packaging. Call or email us to get your bento on today! /// Wouldn't these also make the most amazing wedding favors or special treats for the wedding party?